Looking for maritime books? 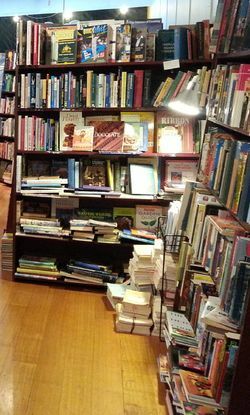 Biblio.co.nz hosts hundreds of of the finest online book stores and booksellers, including specialists in maritime. Use the list below to locate a specific specialist bookseller or book store near you. Or, use the form below to search the inventory of all booksellers who specialize in maritime. Private premises - bookfairs and postal only. We are a mail order business specializing in the sale of used and new naval, maritime, military and aviation books. 3 44-page catalogs, containing approximately 1200 annotated entries are distributed annually. In addition to English language books, we offer books published in Germany, Italy and Australia. We sell only online and by catalogue. 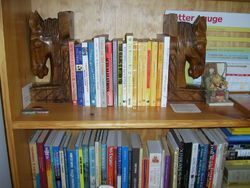 Ringwoods On-Line secondhand bookshop. All books listed by Dereks Transport books are wholly owned by us. 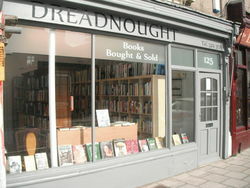 Founded in 2010, Dreadnought Books is a second-hand and out of print book dealer specialising in history, with a particular focus on military, social and labour history. Naval and maritime booksellers probably one of the leading sellers in this field, buying and selling new, used, secondhand books and ephemera, postcards, cigarette cards throughout the world. Working from an outbuilding in our house. My Father, Geoffrey Green, started the business 35 years ago and for many years had a shop in Ealing. We sell quality used and out-of-print books on the internet at competitive prices. International orders are welcomed. We use biblio's standard terms to describe the condition of books. We note any major flaws such as extreme chipping, tears, gift inscriptions etc. We provide fast, reliable shipping of your order per your instructions. Books are shipped within 24 hours of receiving the order. 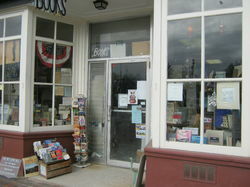 We do not currently have a public bookstore. Maiden Voyage Booksellers specializes in new, used, rare and out-of-print books on ocean liners, merchant ships, tugboats, ship modeling, shipbuilding, sailing, yachting,world religion and New England. 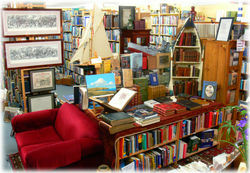 Treasure Chest Books is a long established Secondhand & Antiquarian Bookshop in Felixstowe, Suffolk, open 6 days a week. We have over 45,000 quality books in stock covering a vast range of subjects and priced fromjust 50p to £2000 - only a small selection are listed online. Jack Owens Old Book Shop was a fixture in the Palm Beaches for more than three decades as a brick and mortar shop. Now the creme de la creme of stock is in storage and only available online or for viewing at occasional book fairs. That doesn't include the stacks of books set aside over the years to be read upon retirement, or as research material for the next book! Stock is heavy into biography, history, politics, art and maritime yarns and a few hundred odds on sods kept for their association with events during the past half century or so. The public door may have closed to traffic but the enquiring mind of the owner ticks on forever seeking that elusive unlisted title (send me your wants and I'll keep an eye open) while scouting off-road locations world-wide. My books include re-issues of Palm Beach: An Irreverent Guide and Palm Beach: An Intimate Guide, plus the recently released "The Jekyll Island Enigma", for WWII buffs. All are available online and in paperback, via Amazon. We specialize in maritime related books, charts, periodicals, prints and ephemera. We also have a wide selection of material of local interest including maps and prints. We offer used, out-of-print, scarce books in the fields of art, photography and maritime interests. Maritime includes seas, ships, sailors and anything having to do with them. We are located near Downtown Brooklyn in the neighborhood of Fort Greene. As additional service to customers we try to stay familiar with the restaurants and other goings-on around here. Just ask. Our shop is open for browsing 24/7 but on-line only. We don't have an open storefront. Who could afford the real estate?